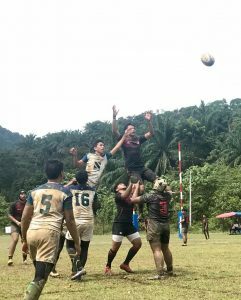 The KL Saracens U14 and U16 have a quick turnaround following the Semashur 10s last weekend, with another full weekend of rugby to come at the KGV XVs on 15th & 16th September 2018 at Georgian Green in Seremban. Both teams acquitted themselves well at Semashur, the U14 boys making it to the Cup Quarter Final before finally going out of the competition in the Plate Semi-Final to SASER. The U16s had a slightly rougher ride, but still performed creditably in getting to the Bowl Semi-Final before being edged out by ARAS. Good luck to both teams at the KGV XVs – we expect tough competition again, but this will be great preparation for the Allied Pickfords XVs next month.